Be different, grill different. Go Rogue. Napoleon’s iconic Wave cast iron cooking grids heat evenly while the three stainless steel burners provide 36,000 BTU’s of heat precisely where it’s needed. 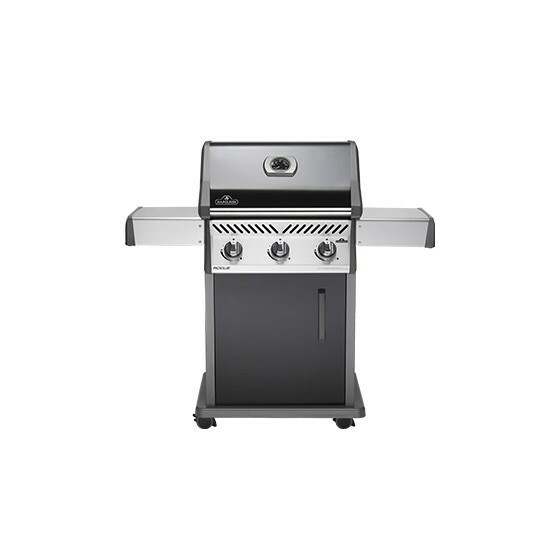 Dual level stainless steel sear plates vaporize the drippings creating intense flavour while you grill. Make marvellous meals for yourself or a crowd while you cook on 425 square inches of main grilling area. Your friends and family with think you are a culinary genius. Because cutting in to your steak to check for doneness is sacrilege. Because affordability and quality should not be optional. It’s time to grill different. Go Rogue with the R425.